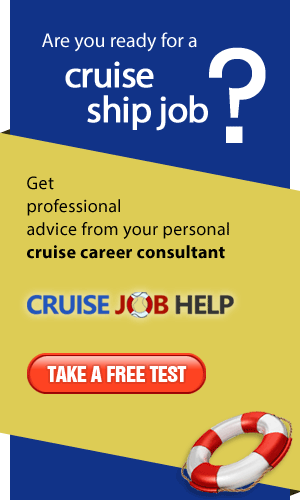 Free emails with tips and advice on how to get a job on-board a cruise ship. Working on a cruise ship is an experience that you never forget. 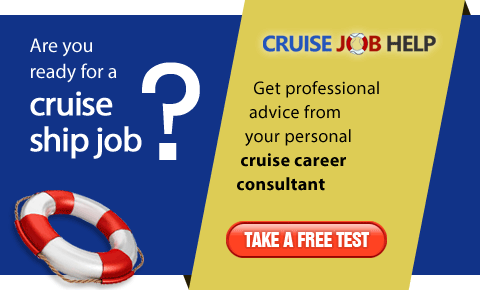 However, before you apply, you must realise that most jobs on cruise liners are very difficult and demanding. There are certain pros and cons which should be considered. If you work on a cruise ship, you travel to many attractive destinations and see interesting places. Although you spend most of the time aboard, there are some chances to go ashore and see the sites. You meet people from all over the world and may forge some enduring friendships. You can earn quite a lot of money. Since you do not have many opportunities to spend the money aboard, you can easily save most of it. You get free accommodation and food. Moreover, you don’t have to pay the utility bills. It is very difficult to get a job on a cruise liner. You will work long hours – 12 or 14 hours a day, 7 days a week. Accommodation for the cruise staff is very modest. On newer ships two people or, on older ships, even more share a small cabin and a bathroom. The crew cabins of the major cruise lines have televisions supplied. Most cabins are situated on one of the lower decks and they do not have windows. You have to give up some of your habits and get used to those of your roommates'. You will be at sea in all types of weather. If you suffer from severe sea-sickness, perhaps you should find a job ashore. Light forms of sea-sickness, however, are common amongst experienced seamen. When you sign the contract with a cruise line company, you will usually pass a course on work safety, first aid and hygiene. You get free medical care in case you get ill on a cruise ship. Your employer - the cruise line - will pay for your health insurance for the period of the contract. This duty is based on the international conventions regarding employment at sea. Cruise line staff can use the various leisure facilities on most ships, such as the gym, fitness centre, swimming pool, bar and meeting room. These facilities are only for the staff. Most employees do not socialise with the passengers during their free time. They are not allowed to use the facilities for the passengers. Most cruise liners embark in the USA. You will be probably required to pay the travel expenses from your home to the port yourself. 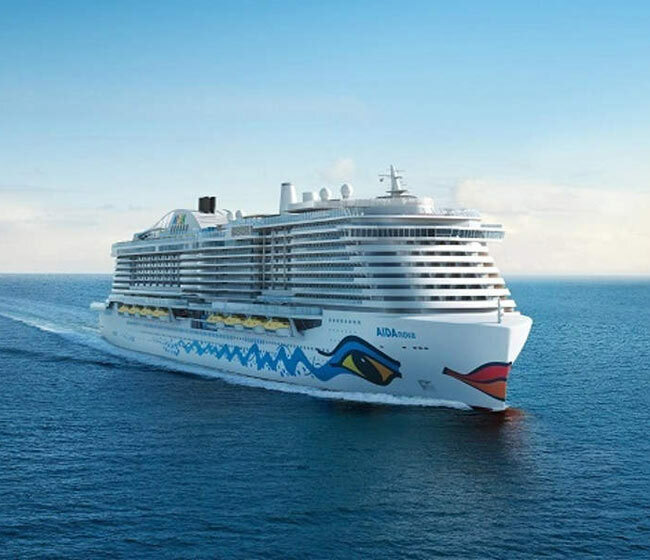 Most cruise line companies want their employees to buy a single way ticket and pay the travel deposit that will be returned to you when the contract is over. However, if you decide to leave before the contract terminates or if you get fired, you will forfeit your deposit. It will be used for purchasing the ticket back to your home country. You will be guarded to the airport to make sure you leave the USA and do not stay there illegally. The deposit is usually from $300 to $500. Some of the largest cruise lines recalled the deposit payments so that the new employees have less expenses (e.g. Carnival Cruise Lines Inc.).